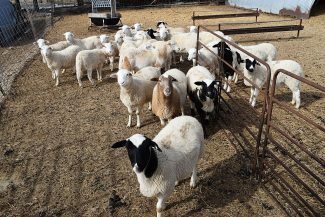 Brian Vander Ley, a University of Nebraska veterinary epidemiologist, warns producers against mass treating sheep. Sheep producers attend the Midstates Hair Sheep Producers Farm Tour in Lexington, Neb. 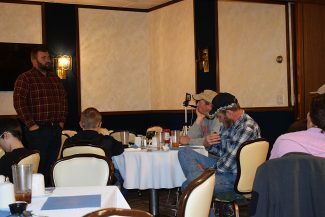 Brian Vander Ley, a University of Nebraska veterinary epidemiologist, answer questions from producers about deworming protocol. Several ewes at the Neal Amsberry farm were phenotyped during the Midstates Hair Sheep Producers Farm Tour. Sheep and goat parasites are becoming more resistant to dewormers. With the deworming products available on the market losing effectiveness, a University of Nebraska veterinary epidemiologist recommends selectively treating only affected animals. Brian Vander Ley told producers during the Midstates Hair Sheep Producers Farm Tour that mass treating an entire flock of sheep or goats is a mistake. "Some areas have no effective wormers left in their arsenal. With sheep and goats making up such a small share of the pharmaceutical market, the likelihood is small any new dewormers will be developed in the future," Vander Ley said. "Even the likelihood new cattle dewormers will be developed is small." "What we have left is selection criteria," he said. The bottom line is sheep and goats will always have parasites. The key is selecting for animals that can tolerate them. If animals are mass-treated and turned onto a new pasture, they will shed resistant worms and reinfect themselves with them. "If you mass treat all of your animals, you are reducing the number of dewormers that will work for you," he said. Vander Ley recommended two management strategies to prevent resistant parasites from developing. "Don't deworm animals at the same time, and don't deworm animals and move them into a new pasture," he said. "What we want to do is breed parasites that maintain some level of susceptibility. We want them to produce eggs with susceptible genetics. Try to dilute down your genetics to replace resistant parasites with susceptible parasites. We want as many animals in our flock that haven't had dewormers as possible." In most cases, 20 percent of the animals in the group cause 80 percent of the problems. "That is why we need to select animals with some parasite tolerance," he said. "Animals will never totally be void of parasites. They will always have some. Management-wise, I would keep a list and gradually take animals that I treat the most off that list by culling them." Animals that need deworming should be dosed accurately. "It is really important to use the right dosage when treating these animals," he said. "That's why I would recommend investing in a good scale. If you under-dose these animals, they will become reinfected with resistant parasites. I don't recommend half dosing them either. It is not a good way to save money." If producers decide to mass treat their animals, Vander Ley said not to use multi-drug therapy. Multi-drug therapy is mixing different classes of dewormers. "Multi-drug therapy will have a higher kill rate, but it can also make the animals produce worms that are resistant to the different classes of dewormers," he said. "I recommend strategic worming, which is defined criteria I would use to deworm any animal." Vander Ley said parasite eggs can live a long time. It is even possible for them to survive the winter. "Freezing temperatures can kill them, but hot and dry weather is their biggest enemy," he said. 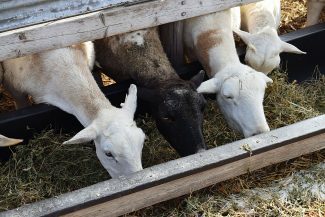 The veterinarian doesn't see a problem with goats or sheep co-grazing or interval grazing with cattle. "Naive cattle may be able to pick up parasites from goats or sheep, but most of the time the parasites won't impact cattle," he said. "It will most certainly reduce the parasite load in the pasture or cover crop field just by grazing." "You need to remember that nothing takes out all of the parasites, other than removing the intestines or killing the sheep," Vander Ley said. "We just have to breed sheep that can cope with parasites in their environment." During the event, producers also toured Neal Amsberry's irrigated farm. 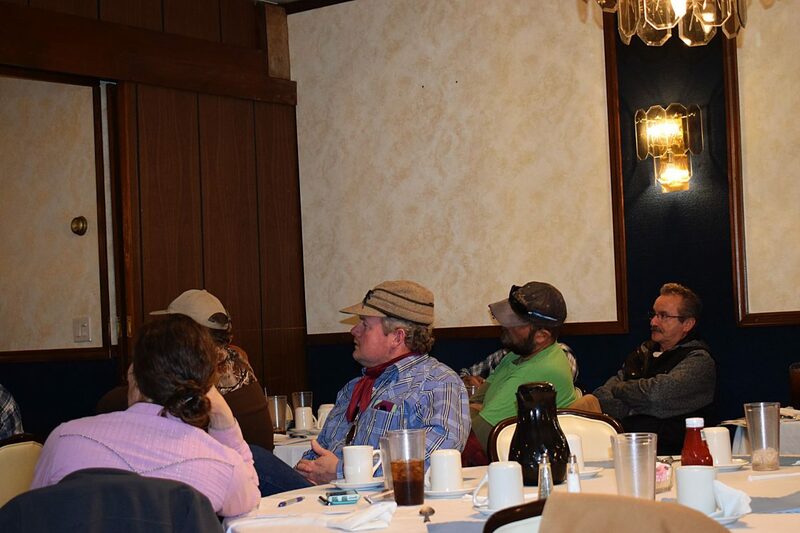 Freddy Rossouw, who is the vice president of the American Dorper Sheep Breeders Society, phenotyped some of Amsberry's breeding herd to show producers what to look for. He told producers it is better to focus on quality ewes and lambs than numbers, because buyers will selectively buy sheep. "They want the quality animals, and will bid up those," Rossouw said. Joe Salem, who is a distribution salesman for Cash-Wa Distributing, discussed the wholesale market and lamb distribution. "If you feel like you have a product to sell, and it fits into a niche, find a professional distributor to help you find a market for it," he said. 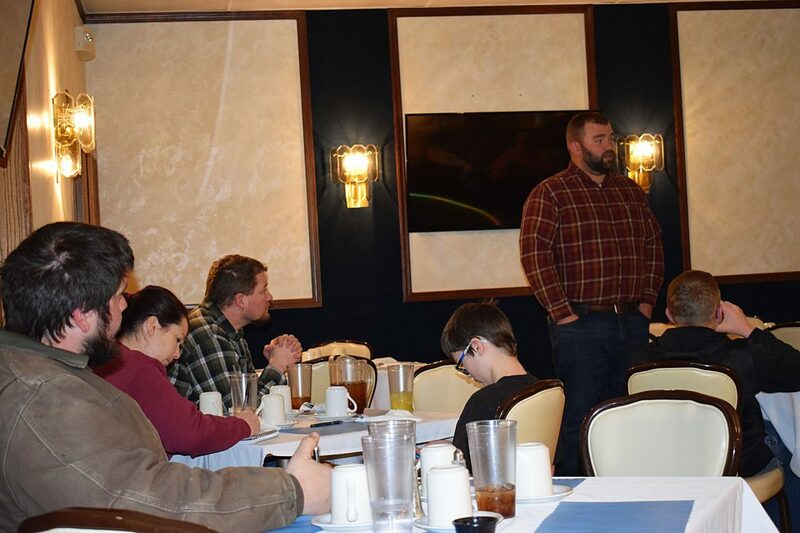 While seeking out a professional distributor, Salem told producers to become as knowledgeable as they can about their product. He said to look at the big picture, and seek out events like food shows. "There are a lot of different foods and equipment at the big food shows. It can create a lot of opportunities for you," he said.